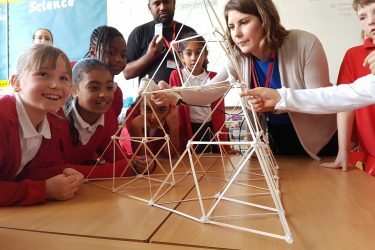 Helping pupils to understand how engineering interacts with the world they live in is a key focus of the Happold Foundation’s work. 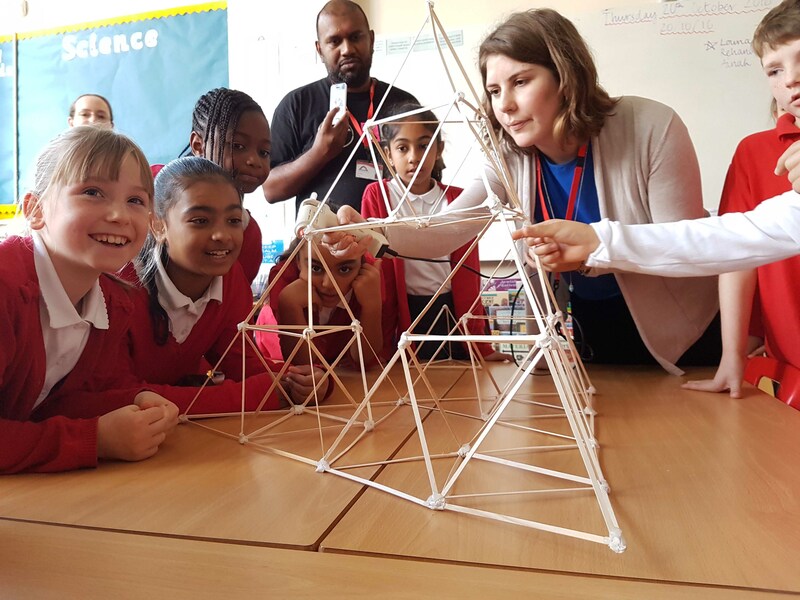 We are currently supporting volunteers from BuroHappold Engineering to run an education programme at Whitehall Primary School. 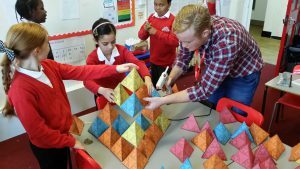 Now running into its second year, the programme at the London school has gone from strength to strength. 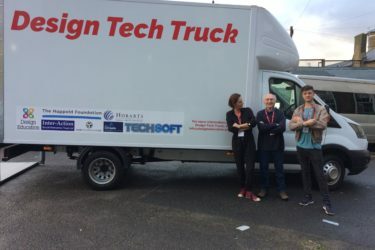 Przemyslaw Czajkowski (Przem) and Grace Waterman discuss how the programme works and the benefits for pupils and teachers. 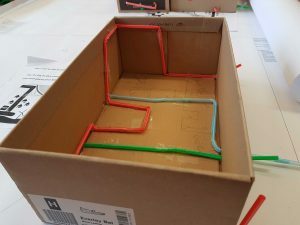 The programme is divided into six sessions, design and nature, foundations and roots, designing a house, bridges, sustainability and a final session that asks students to use all of the knowledge they’ve gained throughout the year. 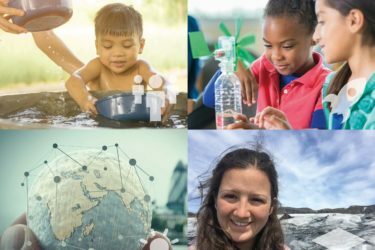 The first session, design and nature, aims to show children the relationship between engineering and nature. 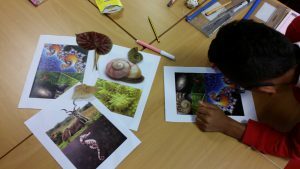 “In this session we encourage children to look at the patterns in the world around them – for example in plants, the human body and the animal world. 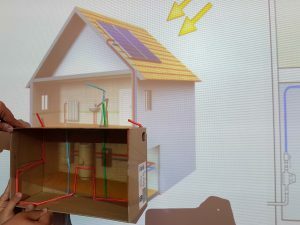 We look at how all these things are made up, and then at how they influence the built environment,” explains Grace. 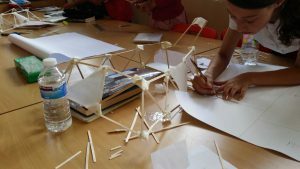 Focusing next on materials, students are challenged to build towers using spaghetti and marshmallows. 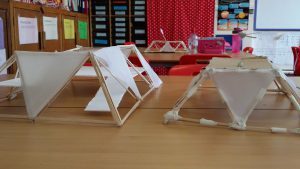 The pupils were tasked with thinking about how to create a strong structure and the different elements they would need to think about to keep it standing. 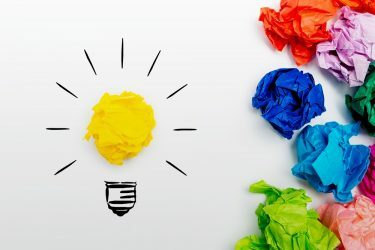 “This session is really practical, which is important for this age group. 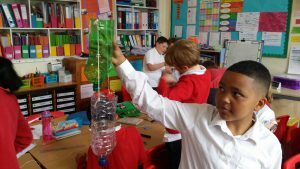 It’s always great to see what the children come up with – there are always a lot of carefully thought out and creative solutions.” Przem says. 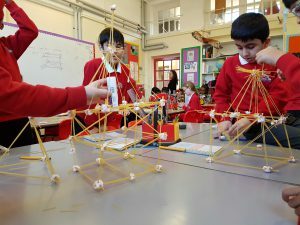 The fourth session encourages children to think about bridges – their purpose, structure and how they benefit communities. 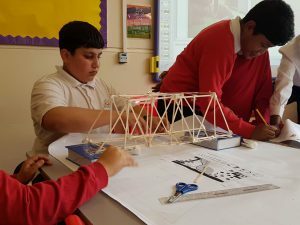 The engineers and teachers work with the students to help them understand the impact that bridges have on everyday life, as well as thinking about how they are constructed. 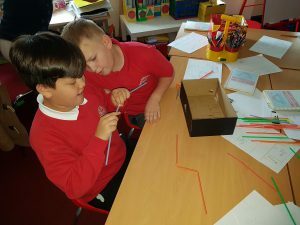 With the aim of ensuring all sessions are kept as practical as possible, the pupils are set a task to build their own bridge, using triangles made out of coffee sticks connected by blue tac and sellotape to form the basis of their structure. 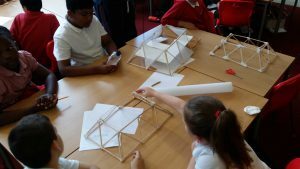 “The children are tasked with building a strong structure, but they can also make the bridge their own too – we’ve seen some very interesting designs, including a ‘dog’ bridge complete with flaps for ears,” Grace explains. 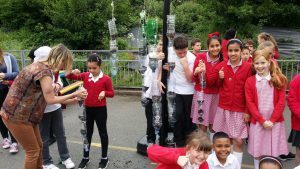 The eventual goal for the programme is to make it available to more schools. 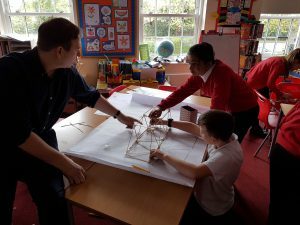 Working closely with the pupils and teachers at Whitehall Primary, the engineers have been able to improve supporting materials so that teachers can comfortably run the sessions independently. To find out more about the programme and how to get involved, email info@www.happoldfoundation.org.